This volume of the series was compiled by the heads of the marketing departments of Hungarian universities leading in the field of marketing education and research. The authors of the studies and essays that make up this 6th volume of the Transition Competitiveness and Economic Growth" series dedicate the book to Professor Pál Tomcsányi, a member of the Hungarian Academy of Sciences on the occasion of his 80th birthday. Professor Tomcsányi's name in Hungary is the hallmark of the creation of scientific based marketing. For Hungarian Pál Tomcsányi is what Philip Kotler is for the Americans, Heribert Meffert for the Germans, Peter Doyle for the British, and Matthew Meulenberg for the Dutch. 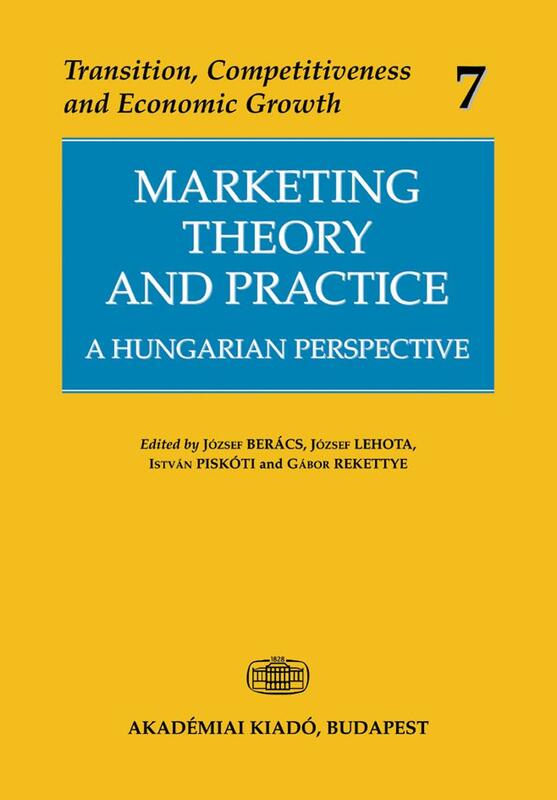 This volume contains thematically grouped essays from the most outstanding Hungarian representatives of marketing science. Part one deals with questions of marketing theory such as change of paradigm in the concept of marketing and the appearance of synergy and value in marketing relationships. Part two deals with regional marketing from the point of view of strategic marketing. A special emphasis is placed on small enterprises, food trade and the costs of advertising. The third part focuses on consumer behaviour with a special emphasis on wine consumption in addition to such topics as price awareness and a change of generations. Consumer satisfaction and the methods of critical cases are discussed in part four which deals with the marketing methods applied in the service sector. The final, fifth part - agricultural marketing - is analyzed from a macro- and microeconomic point of view with an emphasis on quality assurance in the food industry, the agricultural marketing of the Hungarian community and the vertical coordination of producers' co-operatives.